According to an SEC filing, cloud-based phone systems provider RingCentral has raised $10 million in its third institutional financing round (with another $851,240 remaining to be sold). The filing lists previous investors Khosla Ventures and Sequoia Capital – it’s unclear whether the company’s third backer, DAG Ventures, also participated. Update – Nov.1: RingCentral says Cisco led the round. RingCentral markets an advanced replacement for legacy phone systems in the form of a hosted business phone system with voice and fax functionality. RingCentral capabilities are said to include “auto-receptionist, flexible extension structure, multiple voicemail boxes, smart call routing, business answering rules, extension dialing, call transfers, and elegant integration with Smartphones”. 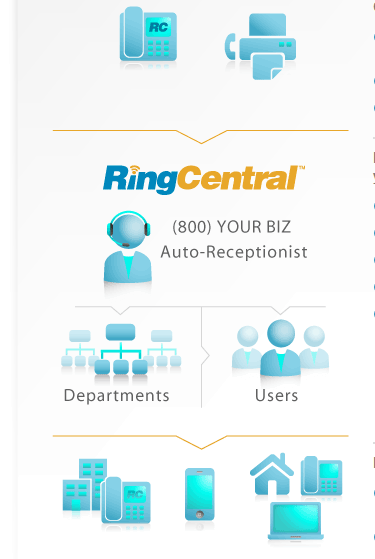 Like Michael Arrington wrote earlier, RingCentral’s phone systems basically make their clients appear bigger than they are. We pinged RingCentral to ask what the fresh capital will be used for, and if any new investors participated in the round.